So as is traditional, let’s kick off with week one. Today’s entry comes from folk greats Simon & Garfunkel, with these words specifically written by Paul Simon. 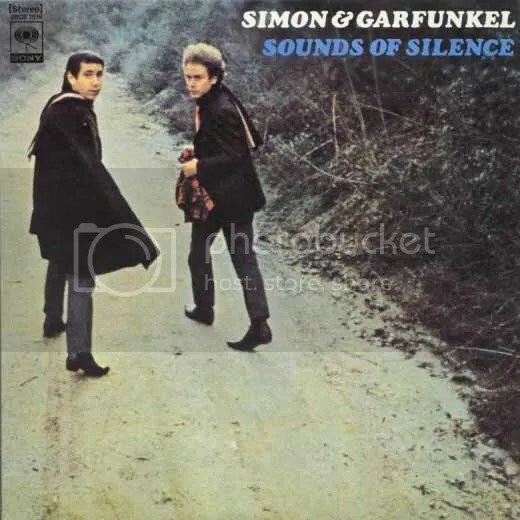 Lifted from their breakthrough 1966 album of the same name, Sound of Silence is one of those fantastically simple and awe-inspiring songs. The haunting electric guitar (interestingly not composed by Simon) sets a bleak outlook, which is ultimately reversed by Simon’s wonderfully building melody, and the dated drums serve only to add to the power of lyrics, giving them centre stage. Mrs Robinson aside, these are probably the duo’s most lasting lyrics and so they should be. The chilling familiarity and casual nature of the words are devastatingly simple and yet very effective as they paint an instant picture that is clear to us all. For my money this is Simon’s best work (musically and lyrically) and is a great introduction if you’re not already a fan. They come thoroughly recommended and you could do much worse than starting with this very album. So that’s it. I chose a great one to start and they’ll be plenty more where that came from in the next few weeks. Below is Sound of Silence in it’s entirety and don’t forget to get the album if you haven’t already (which, as I go to press, is at an insanely low price). What a coincidence. What timing. Did you know that Garfunkel’s cousin is in the music business? His name is Lou Pearlman. I just mentioned him on my blog today! Well there you go. That’s the magic of the internet for you!